Having outdoor bars is really great to enjoy the weather and company of friends! Most of outdoors bar are build in a backyard or garden area to let the fun start in privacy! 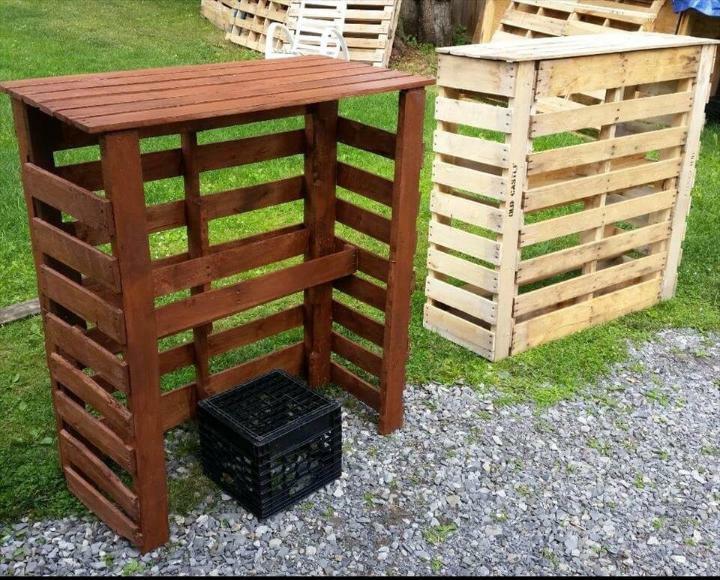 We are here to let you know about some DIY projects that can provide you will the essentials to build a no-cost bar anywhere at outdoor! 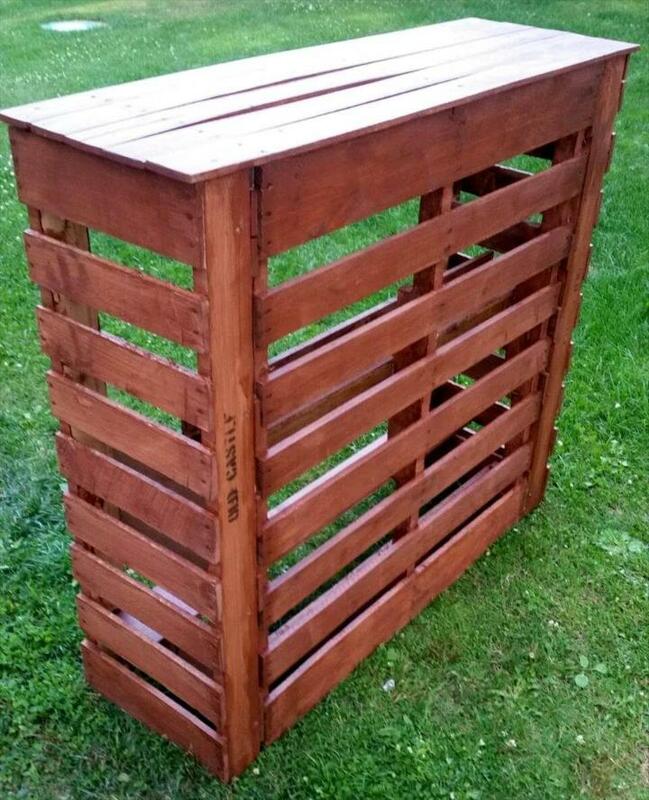 If we are not wrong, then you first preference would be to gain a bar table and we would like you to check this DIY pallet bar if you are willing to proceed in a budget-friendly way! Both these wooden bar units have been recovered from old pallet boards and have been added with features you want to see in manufactured models like a flat smooth counter top and also some built-in shelf for storage of drink bottles! 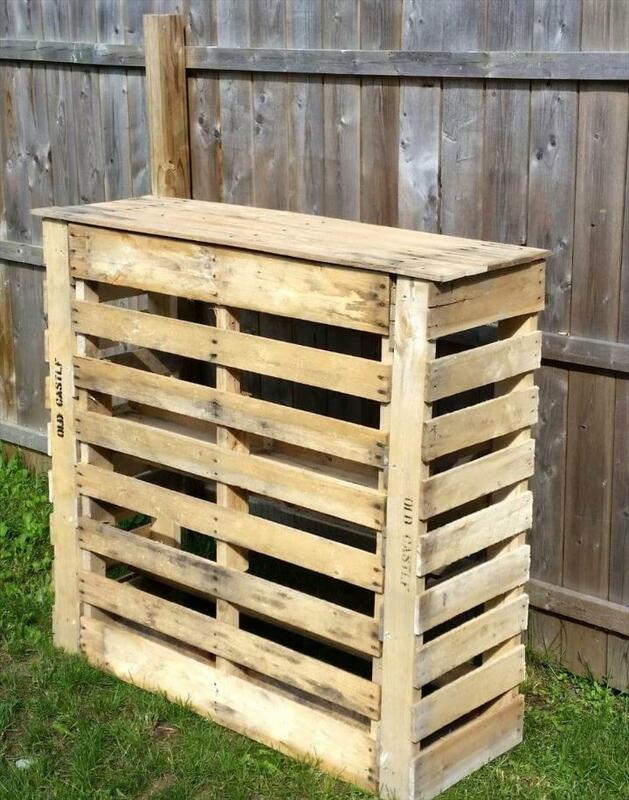 Construction is too handy and is all about deconstruction and reconstruction of pallets! 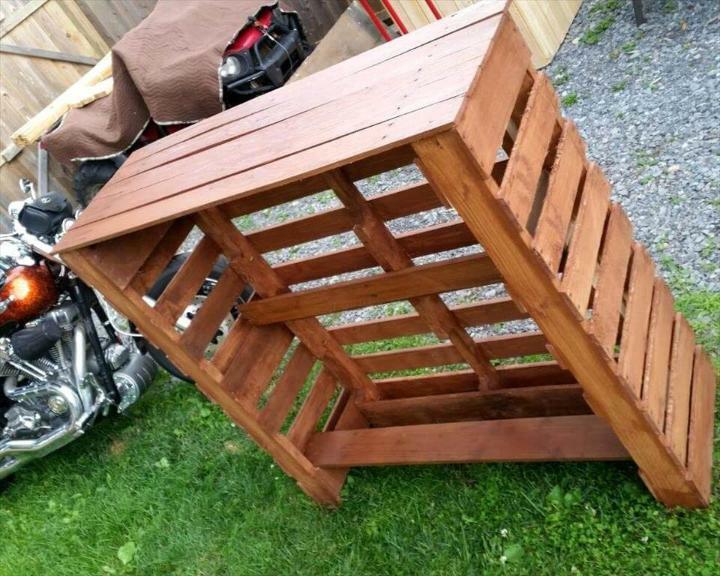 Finally finished model can be hand-gritted and sanded smooth and then can finish with custom paint colors and stain to look amazing in your outdoor bar! 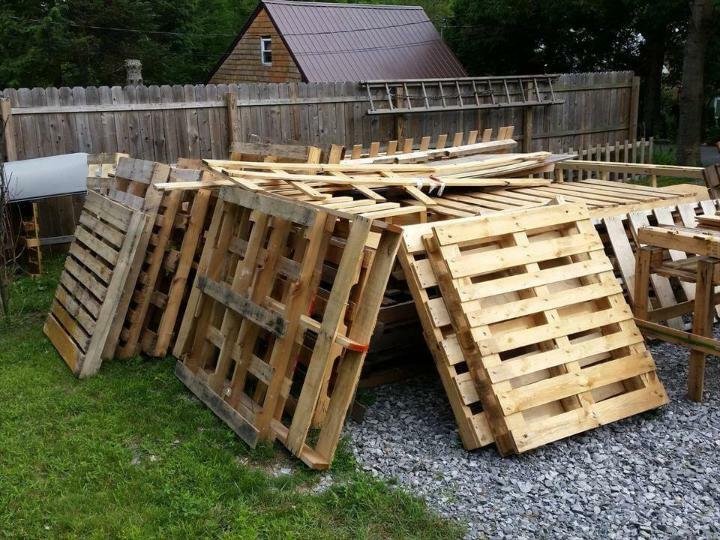 Time to take some pallets out from the stock you are having, if not, then you can reach the pallets from any source accessible and affordable to you! 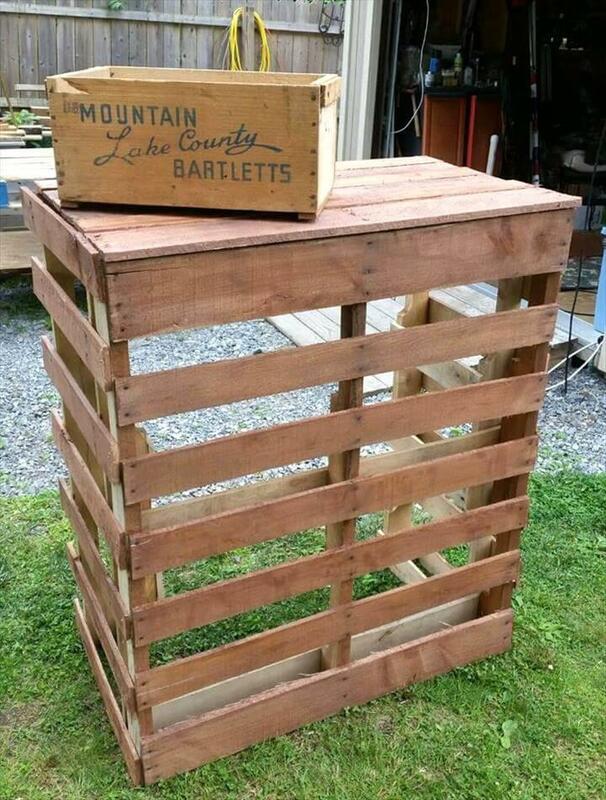 Here construction is as easy ad you want, it will take only a couple of minutes to build such a stylish bars, just add a pallet board with side walls and a counter-top! 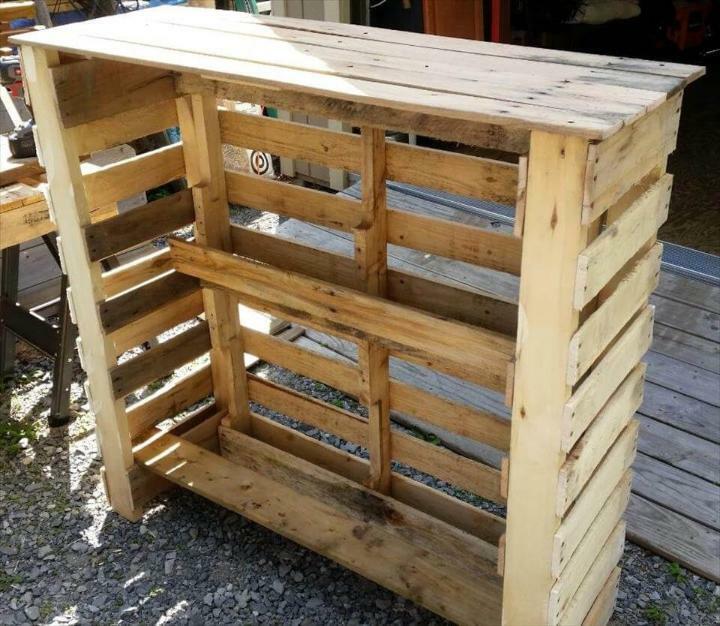 Here also a big pallet board have been turned into a lasting bar unit by installing sides to it, sides are also made of modified pallet boards! Here are two hand-built wooden bar unit, one is finished with Brown Timber Wood Oil while other is looking enjoyable in natural blank tone of wood! 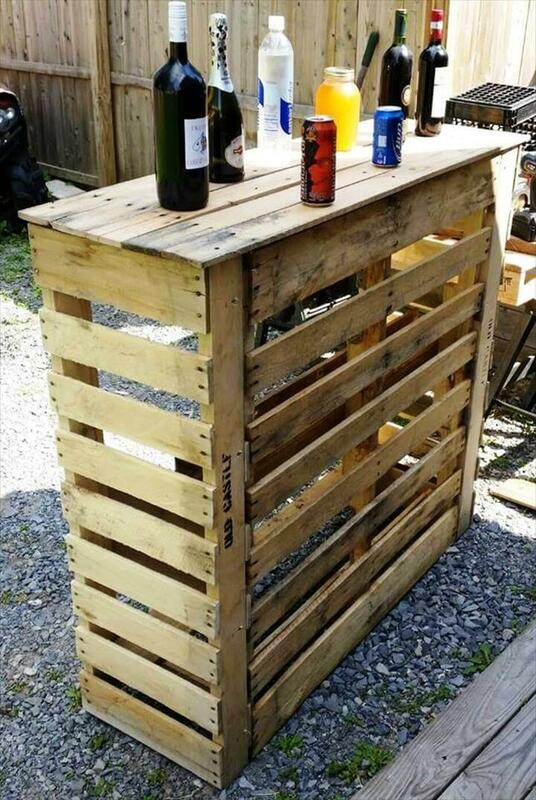 Take help from spacing in pallet boards, will all make it easy for you to insert the additional shelves to your finally finished bar table! A number of shelves built inside underside the counter top, will come in handy to store branded beverage bottles with lot of care! For an alluring sleek look of this wooden bar, you can plan a number of different finishes including the paint, stain and popular wooden sealants! Chestnut, light or brown walnut, minvax grey or black and mahogany stain would be mind-blowing to create a respective wooden tone of this wooden outdoor bar along with lasting weather-protection!